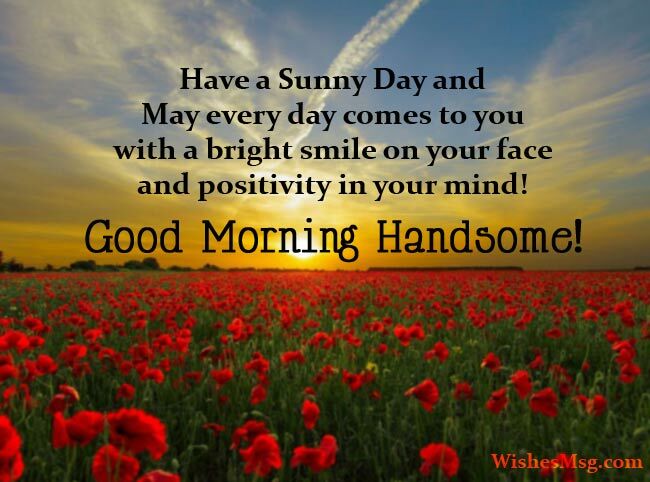 Good Morning Messages For Boyfriend : It’s a fresh new morning and another new day to wish your handsome boyfriend a very good day! 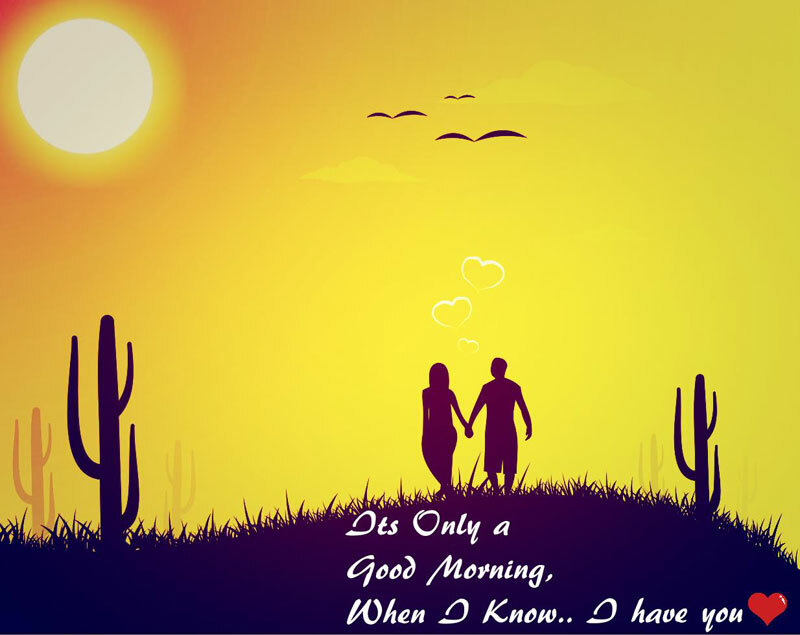 Send your bae a lovely good morning message and he will be happy receiving the romantic morning wishes from you! Melt him with love just after weak-up in the morning. Let’s find the cutest Good Morning Messages For Boyfriend from this post and let your guy know that you’re thinking of him right now! Fill his day with love and make him feel as the luckiest boyfriend ever to have you beside him. Like this bright morning sun, you always light up my mind & add warmth to my life. Have a beautiful day Honey! Every sunrise gives me a new day to love with you. Every time I think about you. You are my first thought when I open my eyes. I love you. Good Morning my baby. Every morning is beautiful because you are in my life. I wish to start every morning with you till my last breath! Enjoy this sunny morning to the fullest! May every morning bring a bright smile on your face and positivity in your life! Let’s go to the land where every morning comes by the shade of your eyes, Dear! Good Morning. You are the beautiful song of my life! I wish to be your music! Have a nice day! Happy morning my dear! May all your plans go well today and the sun brings light to your darkness. Good morning with lots of love! Everything might not go as per your plans, but always remember that my love would be the same for you. Enjoy this sunny morning! My morning starts with your love. Your love stays with me all days long. I never want to lose you. Let me be with you always. I love you. Good Morning my love. May your day go as nice as you are! Have a great day! Good morning! Nothing is more beautiful than your smile as the first thing in the morning to me! My sweetest dream has come true as you are with me, my Handsome! Every moment under this comforting morning sun, makes me feel that you are only meant for me. 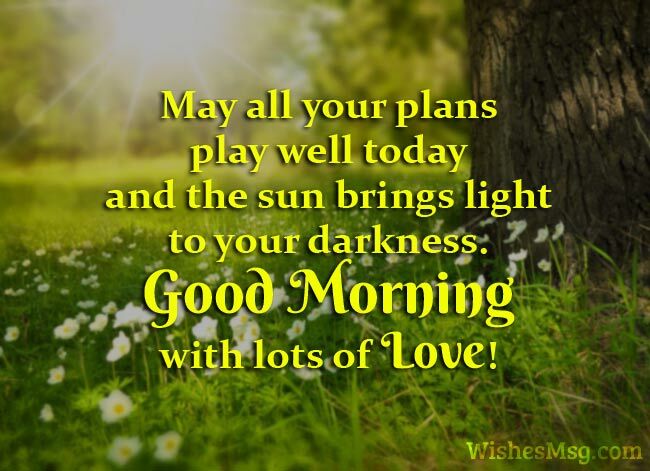 May God keep you safe and make your day blissful! Good morning! It is not a text, it is a good morning kiss to the man I love! I love you as I love my first cup of coffee in the morning and wish to have it with you always! Good morning! You know what, my pillow doesn’t like you. Because, it knows that someday, I am going to replace it with your warm shoulder. Have a lovely day! Good morning to the most wonderful guy I’ve ever known. He’s charming, kind, humble, honest and handsome. And he’s smiling right now! I just want to crush my alarm! Every day it wakes me when I’m having a dream of you. Well, good morning handsome! Wishing good morning to the laziest person I know. The day will be good or bad for you depending on how quickly you get off your bed & meet me in the morning! Dear, I know how much you love to sleep, but there’s no way you can beat me! So, get up and be ready because we are meeting soon! Good morning! Every morning would be more special if You & Me were to wake up at the same time on the same bed! As I was looking something warm and cozy to comfort myself in this chilly morning, your face and your arms came first in mind! For a sleepy morning, happy thoughts are the best and I am thinking about you, Honey! Compared to the sunshine of a hundred suns, your love brings more radiant in my life. You are the reason why I wake up each day with a smile on my face and flares of love in my hearts. I thank God for giving me eyes to see your adorable face and to love the most wonderful person in my life. A sweet Good Morning to my handsome. I want my every morning begin with you smiling at me because without you no morning feels complete. I love you, darling. Good morning to you. Have an amazing day. The glow that you bring in my life, Is the same as the morning sun, With you I feel so good, With you, I feel the fun, Because you are my life, Without you I can’t survive, Wish you a lovely morning my boy! As early as the sun rises, As early as this day, I just want to repeat something, The things I already say That I so love you my dear, This morning go and spread some cheer, Wish you good morning for a lovely day! I woke up dreaming about you in this beautiful morning. In this beautiful morning sunshine, I need your warm hugs and sweet kisses. I love you. Good Morning my handsome. You wake me up with your softest lips. Share your warmth with a tight embrace. Filled me up with true loveliness that even the nights are the happiest mornings to me. Rise and shine for a new day has begun, Let’s go out and feel the morning sun, Embrace what this future will bring, Savor what truly is a good morning! I wake up this morning feeling lonely, I go on with the day thinking why I feel empty suddenly I realize I haven’t greeted you yet, So here I am wishing you to have a great morning! Enjoy your day! Are you missing your boyfriend right now? 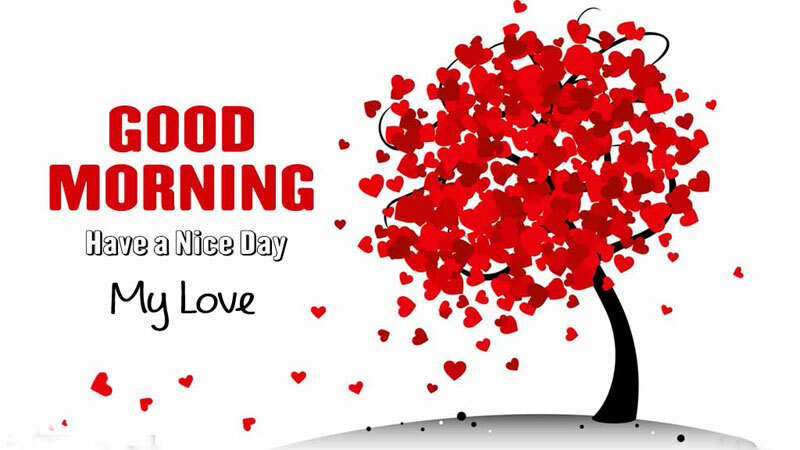 You may send this good morning message to your boyfriend to let him know about your loving thoughts and send your morning wishes! Nothing can make a man feel loved and blessed in the morning than a sweet message from the girl he loves. Also, your guy need it most to make the whole day wrathful which lies ahead.